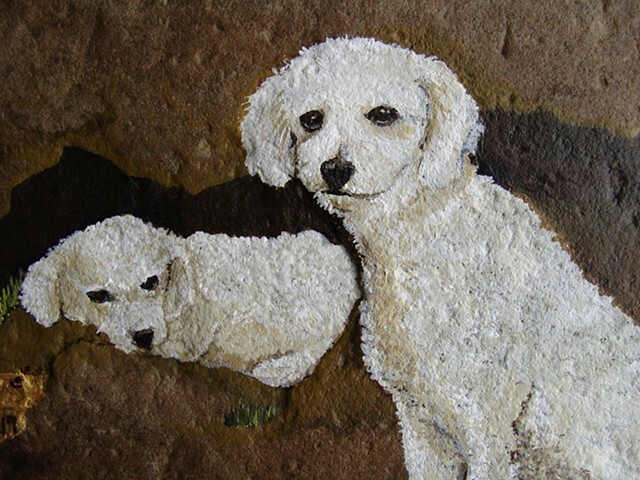 Detail of a Hand-painted memorial pet portrait for a local patron. Painted on stone foraged locally. My Patrons received previews of this work in progress.